These plate washers have a larger surface area than most round washers, making them suitable for heavy-duty fastening. They are ideal for use with Carriage Bolts in structural timber fastening applications such as joist work and decking. 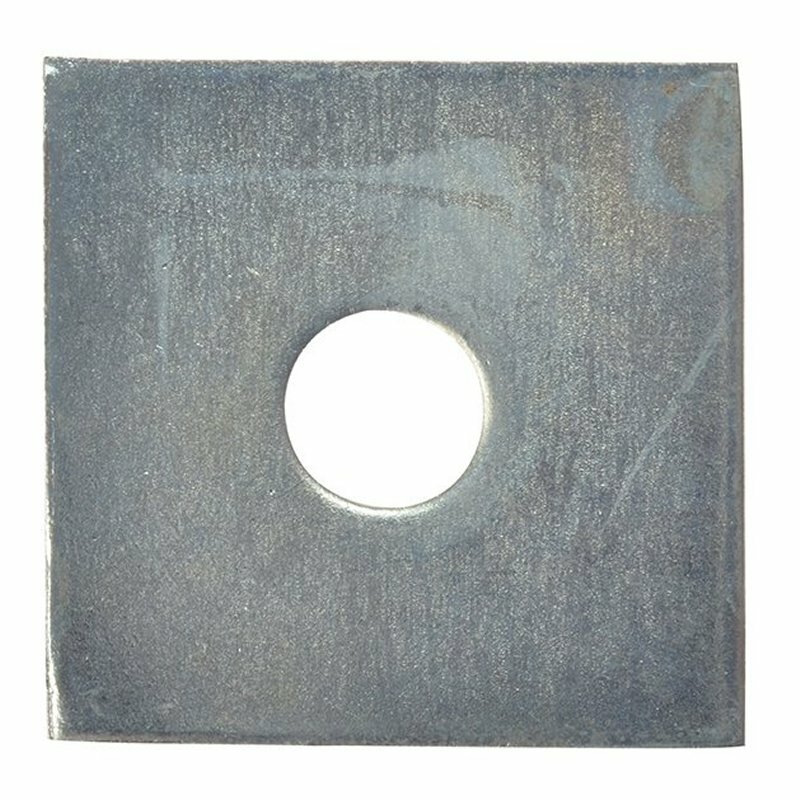 The washers are galvanised for increased resistance to corrosion. Many structural applications where timber to timber fastening is required. The large surface area distributes the load evenly under the bolt head. Can be used with all types of bolts and nuts. Galvanised coatings prevent oxidation of the protected metal to create a longer lasting finish. It does this by forming a barrier and by acting as a sacrificial anode if this barrier is damaged. Galvanise is a coating that (in contrast to iron oxide) does not trigger a breakdown of the substrates surface integrity.